As with a majority of automotive history, the origins of a particular type or style of vehicle varies depending on the source of the information. The SUV, or sport utility vehicle, dates back to the 1930s, but did not gain its official SUV title until the 1980s and had many names in between. The Merriam-Webster dictionary defines an SUV as “a rugged automotive vehicle similar to a station wagon but built on a light-truck chassis.” It goes on to refer to it as a “large vehicle designed to be used on rough surfaces but that is often used on road or highways.” While both of those definitions can apply to an SUV or truck, Auto Trader went a step further by referring to an SUV as “nearly anything with available all-wheel-drive and raised ground clearance.” This is much more accurate considering the wide variation of types of SUVs available today. While no one can really settle on the definition of an SUV, one thing certain is that its popularity has skyrocketed over the past decade. SUVs have given a wider range of consumers a wider range of choices in a versatile, family, and cargo-friendly vehicle. While the history of the SUV is about as varied as the choices available in SUVs today, the roller coaster ride is well worth learning about. [caption id="attachment_3092" align="alignnone" width="1000"] The Model T Depot Hack[/caption] While the term SUV did not become standard until the 1980s, SUV type vehicles have been around since the 1930s. The first glimpse of the modern day SUV was known as a “depot hack.” A depot hack was a multi-passenger vehicle with a large cargo area that was used to transport train passenger from the train station to their destination. Depending on where you were in the country, they were also referred to as carryalls or suburbans. Chevrolet took the depot hack a bit further in 1935 when they introduced the Chevrolet Carryall Suburban, a distant ancestor of the modern Suburban. The depot hacks are also recognized as the forerunner for the evolution of the station wagon, which today has been almost completely replaced by crossovers and SUVs. 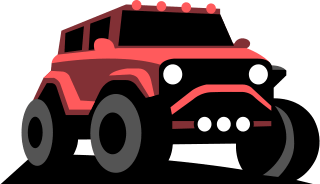 The most commonly referred to origin of today’s sport utility vehicles can be traced back to the commercial and military vehicles used in World War II that were provided by Jeep and Land Rover. In the late 1940s, one of the first consumer targeted predecessors of today’s SUVs hit the market in the form of the Willys Jeep Wagon. Marketed as a “family utility vehicle,” it had staying power and was renamed the Jeep Wagoneer in 1963. During the 60s and 70s, prior to the gas crisis, a variety of automakers followed Jeep and Chevrolet’s lead and introduced their own family-friendly utility vehicles. In 1966, Ford introduced its infamous Bronco, which was followed in 1969 by the Chevrolet Blazer/GMC Jimmy. Even International Harvester of tractor and heavy-duty truck fame introduced their Scout utility vehicle in 1971. With the term SUV still a thing of the future, the majority of these vehicles were marketed as station wagons. 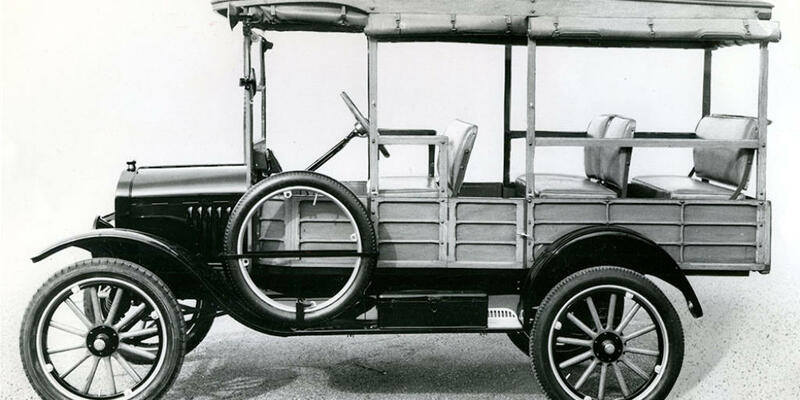 These original family/sport utility vehicles were large and most were far from fuel-friendly. When the new CAFÉ fuel economy standards were introduced in the 1970s in an attempt to deal with the gas crisis, automakers were forced to market family utility vehicles as “work” vehicles, taking them out of the equation for the typical consumer looking for a family vehicle. With the new classification, more consumers were choosing trucks and passenger cars over the family-sized utility vehicles. If it was not for American Motors lobbying the EPA to change their categorization of its new Jeep Cherokee from a “work” vehicle to a “light truck” in the early 1980s, the SUV may have actually gone extinct. This change in identification was also the start of it officially being known as the SUV. With American Motors changing the way the government categorized sport utility vehicles, American automakers once again put their efforts into adding SUVs to their lineup. With labor costs going up and the insurgence of less expensive imports, automakers found that an SUV could provide them with a high profit margin and appeal to a new group of consumers. Ford, Chevrolet, and Chrysler all introduced new SUVs into their offerings while slowly phasing out the outdated station wagon. Consumers wanted more versatile, roomier vehicles that could also satisfy their need for adventure and that is exactly what the SUV did. The popularity of SUVs has skyrocketed in the past decade and today, there are nearly as many choices of SUVs and crossovers as there are coupes, sedans, and hatchbacks. The improvements in fuel economy with more fuel-efficient engine choices and other fuel-saving technology have also made the SUV more appealing to those that need more passenger room but do not want to pay higher fuel bills for the convenience. 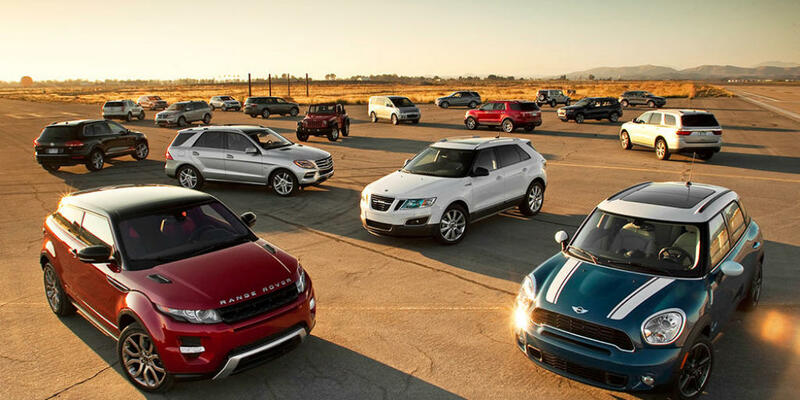 The range of SUVs available on the market today is extremely diverse. While the first sport models were marketed as “family utility vehicles,” today, they appeal to single people as much as they do to growing families. SUVs range from small, subcompact crossover models to full-size SUVs with seating for up to eight or nine people. Whether you just want to sit up a little higher and not have to struggle to load groceries or want to take the family out for a weekend boating or camping excursion, there is an SUV to satisfy your needs. Even those looking for green-friendly vehicles no longer have to settle for a small hybrid sedan or hatchback, they can choose from a number of hybrid SUVs, and if you live in California, a FCV SUV that uses no gasoline at all. Today’s SUV has come a long way from the “depot hack,” and as their popularity continues to grow, you can expect to see even more variations to fit consumer wants and needs. While the original “carryalls” were far from what consumers have to choose from today, their basic principle is still the same - efficiently move a number of people and a moderate to large amount of cargo at once. Advances in technology have made the SUV more fuel-efficient, given it better car-like handling, and allowed them to be as well appointed as some of the top-selling luxury sedans. Whether you are looking for a fuel-saver that makes shopping and hauling the family easier or a powerful, spacious vehicle to haul your boat to the lake on the weekends, there is an SUV to fit your needs and budget. While this history of the SUV has had many ups and downs, the future of the SUV is certainly on an uphill road for these versatile, go anywhere, people-friendly vehicles.